Although I’m not a big fish eater, I absolutely love shellfish. I’d be happy with a diet full of lobster, crab, shrimp, clams, oysters, and scallops. Unfortunately, these tend to be the more expensive seafood. But, it’s nice to splurge every once in a while. And here in New England, there’s always an abundance of shellfish in the summer. I’ve always wondered why mollusks like scallops are higher in carbs than crustaceans like shrimp. I’m told it’s because you eat the entire body, including organs. 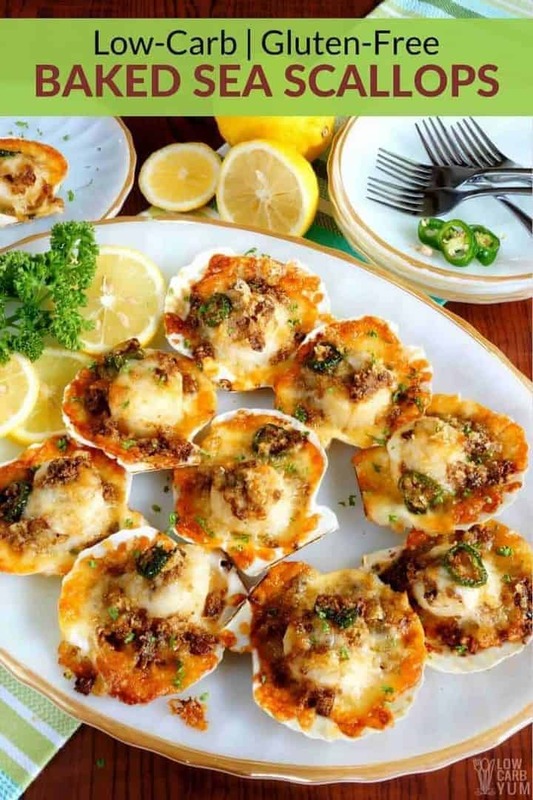 However, there’s no reason why you can’t enjoy delicious baked sea scallops every now and then. These were always one of my favorite items to order at restaurants. 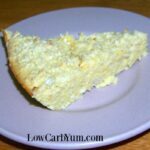 To reduce the carbs in this low carb version, pork rinds and cheese are used for topping rather than a bread crumb mixture. Jalapeño, garlic, and butter add some extra flavor along with the traditional lemon. It is tough to find scallops sold on the half shell in regular grocery stores. Usually it’s just the meat. But, most seafood markets do sell them fresh and you may find some in the freezer section. Or, just order some scallop baking shells. You can buy either bay or sea scallops. The bay ones are smaller in size and are more tender. I like to use the sea variety because of the larger size. 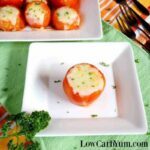 These restaurant quality baked sea scallops are an easy keto friendly appetizer you can make at home. They can even be used as the main dish. 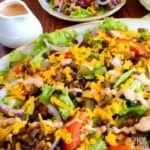 It would be nearly impossible to find a restaurant selling a similar dish made low carb and gluten free. 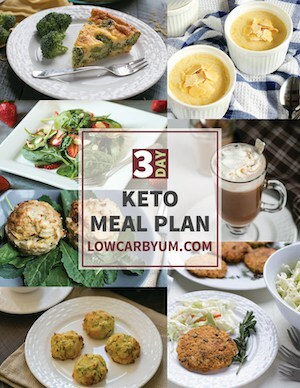 I wish there were more choices on the menu for those following a keto diet. Sure, you can always go for meats and salads, but that gets to be a bit boring. And, forget about desserts. There’s so few places where you can get a low carb treat. 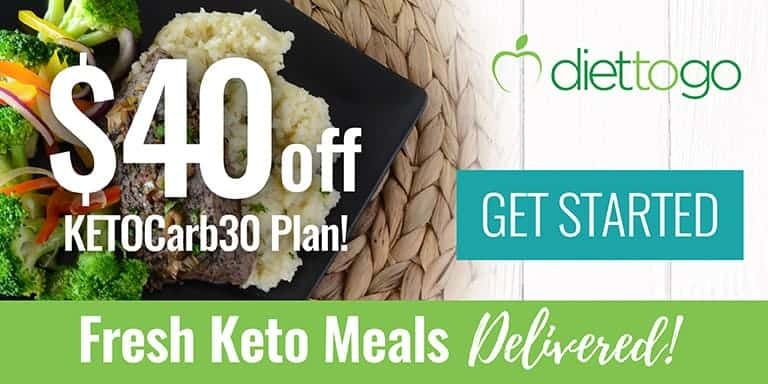 I’ve heard that if you live in a big metro area like New York City or Los Angeles, it’s not that hard to find restaurants that cater to us low carbers. But, I love living out in the peacefulness of the country. 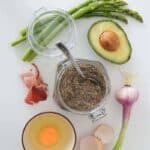 That’s one of the main reasons why I started creating so many low carb recipes. 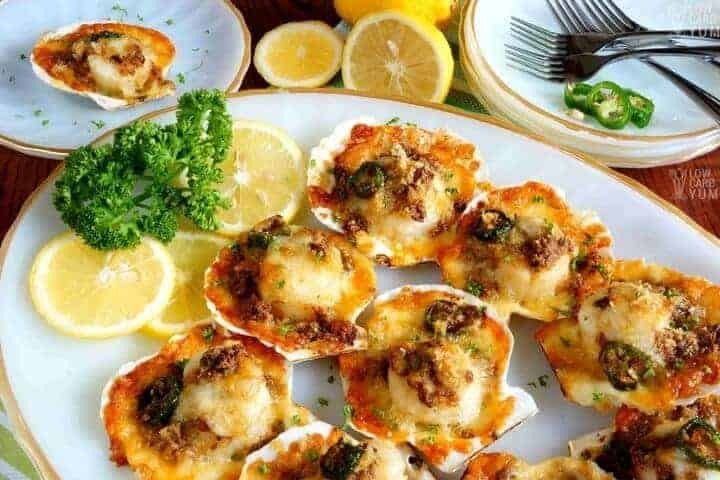 I needed some old time food favorites like these baked sea scallops that I couldn’t get at restaurants anymore. 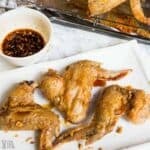 Wouldn’t it be great to have restaurants start offering keto dishes? Maybe one day our way of eating will become the norm. 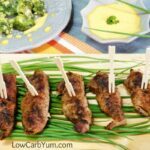 Until that day comes, I’ll continue to create my own gourmet low carb foods at home. I’m somewhat of a homebody anyway. But, I do like to take a break from the kitchen and have others prepare meals for me. 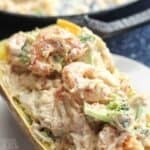 Do you have a favorite seafood dish that you’d like to see in a low carb version? 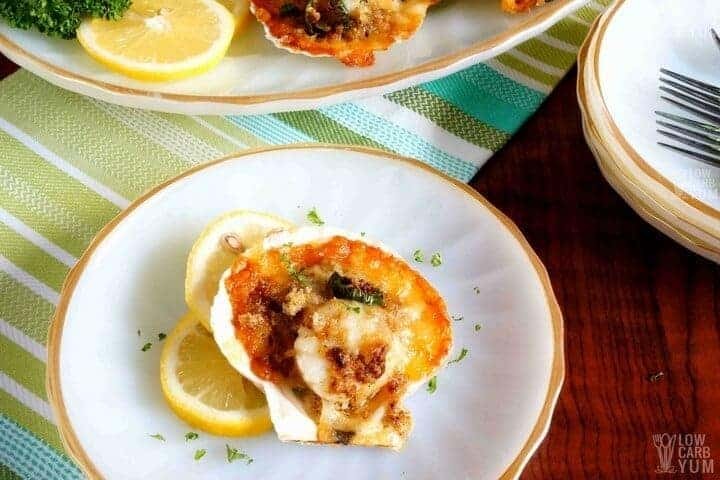 Stuffed clams are another old favorite of mine so I may have to work on a de-carbed recipe. I’ve already make my own clam chowder and and linguini with white clam sauce. 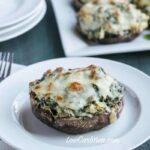 An easy baked scallops recipe with a crispy low carb and gluten free topping. 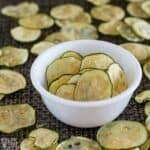 Makes a fantastic keto friendly appetizer or main course. 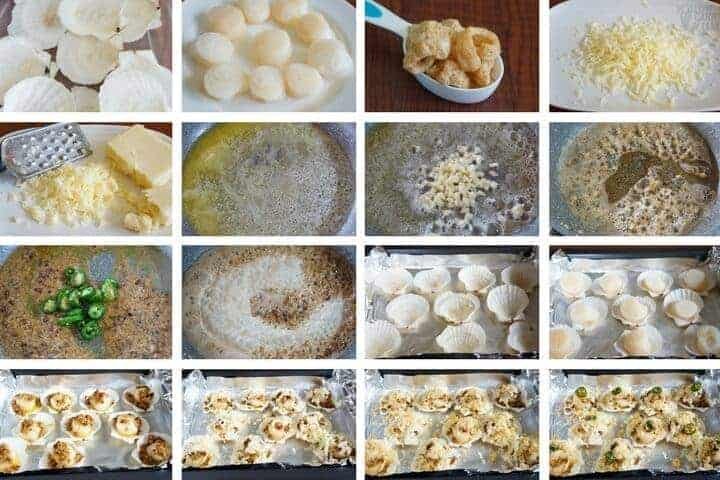 Remove scallops from shell. Lightly brush and rinse shell with lemon juice combined with water, to eliminate the fishy odor. Soak in hot water for at least 15 minutes. 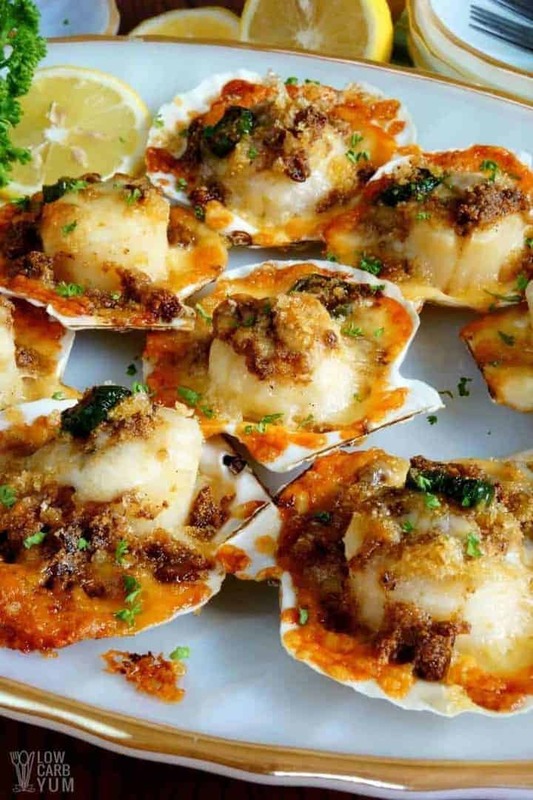 Wipe shells with kitchen towel and return scallops to shell. Sprinkle some salt. In a baking tray lined with foil, bake scallops for 5 minutes. Drain scallops broth. Opt to set aside for another use or discard. Butter and cheese mixture. In a skillet with low heat, melt butter and sauté garlic until slightly brown.Turn off heat then add cream, cheddar cheese, Jalapeño and black pepper. Stir until cheese melts. Pour ½ Tbsp. 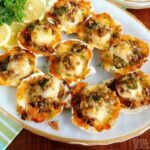 of butter and cheese mixture to each scallop on shell, sprinkle grated mozzarella cheese, add crushed pork rind and top with 1 slice of Jalapeño for each. 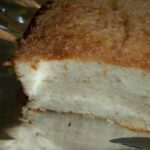 Bake for 8 to 10 minutes until cheese is melted and golden in color. Garnish with fresh parsley. Serve immediately and enjoy! Jalapeño used was about 1 inch to 1 ½ inches in length each.